Dearest Princess Amelia I thought that you might like a blog post about nonsense song lyrics. Songs that might have been written by your Daddy. This will be the first nonsense lyric post of many I hope. 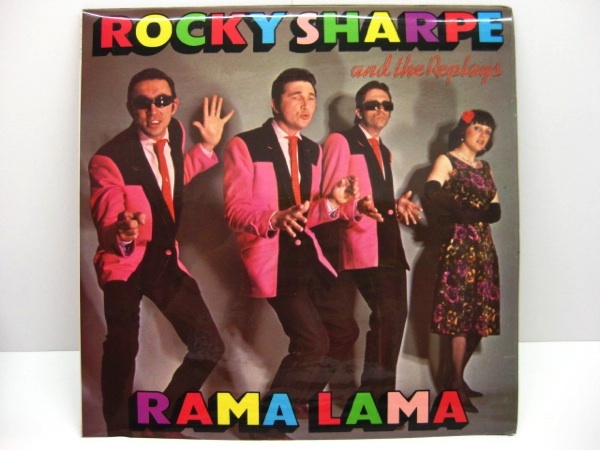 I also hope that you like the song, it is called “Rama Lama Ding Dong” and it’s by Rocky Sharpe and the Replays in 1979. The song was originally by an American group called the Edsels and has been covered by many groups, including one that has a rather nonsense name; Showaddywaddy. I hope you and your Mummy and daddy enjoy a little Rama Lama Singalong now 🙂 I have added some funny versions of the song too. Just to help you Mummmy and daddy and all the people in Godderwil to sing along here are the words. Love her, love her so. That I’ll never, never let her go. She’s mine all of the time. Princess Amelia meets a monster!